You may find “stir-fried webfoot octopus” often when you walk downtown. Stir-fried webfoot octopus is made of webfoot octopus and red pepper sauce. 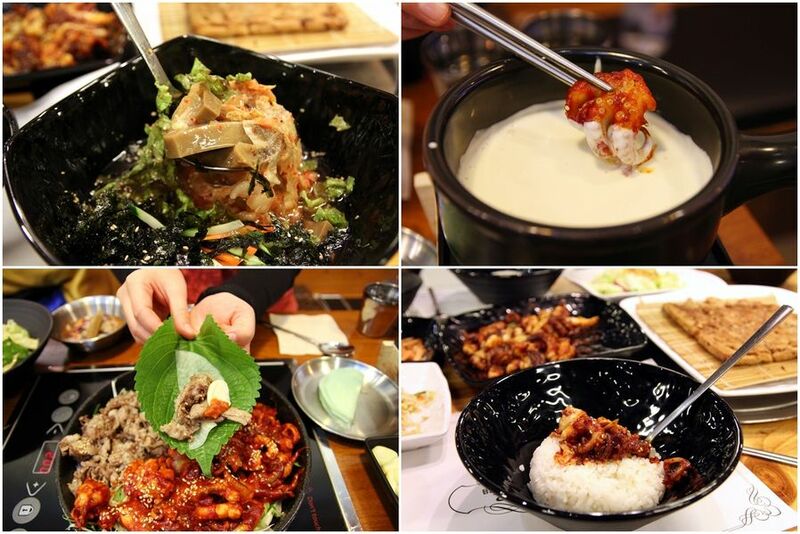 Many Korean like the taste of spicy sauce, so they often eat for meal or relishes. Webfoot octopus has been used for food material for a long time. It was introduced old book “Donguibogam: Principles and Practice of Eastern Medicine”. It is effective to improve stamina as it has plenty of taurine. Webfoot octopus has been called “the gift from the sea in spring, because it is especially delicious in spring. It is resilient and chewy. In particular, the eggs are so delicious. People say webfoot octopus is the best in spring because of eggs. Since March is breeding season for webfoot octopus, it has a lot of eggs in its body. Basic way to enjoy webfoot octopus is boiling it in hot water. However, stir-fried webfoot octopus is more popular with many people. To make it, you should fry webfoot octopus with Korean traditional sauces like red pepper sauce, red pepper powder and soy sauce in a pan. It is spicy at first, but chewy and aromatic as time goes by. March is the season that webfoot octopus is delicious the most. So various webfoot octopus food festivals are held in the west sea region. If you want to have a trip outside Seoul, I recommend the west sea region. Why don't you have hot stir-fried webfoot octopus in the beach, and cool down with spring wind? Basically, stir-fried webfoot octopus is made of hot red pepper sauce. It is delicious when you cook webfoot octopus on a pan, but it is even more delicious when you grill it on briquet fire or wood fire. It absorbs the smell of charcoal fire. Even Koreans think stir-fried webfoot octopus is very hot food. Of course, each restaurant can choose the intensity of spicy. But stir-fried webfoot octopus is the most delicious when it is very spicy. Your mouth would be burned when you eat spicy stir-fried webfoot octopus. Why don't you eat it with various side dishes to cool down? Mostly, side dishes are cool soups like Oi-naengguk(Chilled Cucumber Soup) and Mukkuk, soft steamed egg and fresh and crunch vegetables. Cool soup would cool down the heat, and steamed egg can smooth your stomach. The set menu with stir-fried webfoot octopus and Gorgonzola is popular these days. What a funny combination it is! But it is so delicious. Sweet and aromatic Gorgonzola neutralizes the taste of hot stir-fried webfoot octopus. Put stir-fried webfoot octopus, bean sprouts, laver powder and rice in a big bowl, and mix them. It is out of this world!